I've photographed a defunct gallery called "Outsider Art" on numerous occasions. Quirky assemblages of mechanical flotsam and jetsam adorn the exterior offering limitless still lifes and abstract compositions. 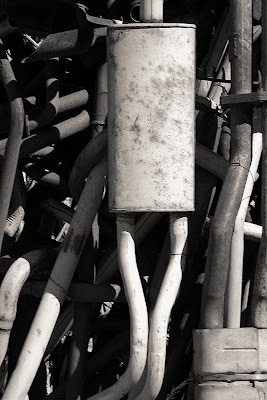 This muffler welded vertically was the clear focal point of this image.